Ashley items are available only in 48 contiguous United States. For orders Outside the Continental United States (OCONUS) contact our Special Order Team at WhiteGlove@nexweb.org. Items purchased online may not be exchanged or refunded in store and can only be returned through our Customer Care Center. Shipping fee's may apply. Check Shipping and Returns tab for Customer Care Center contact information. 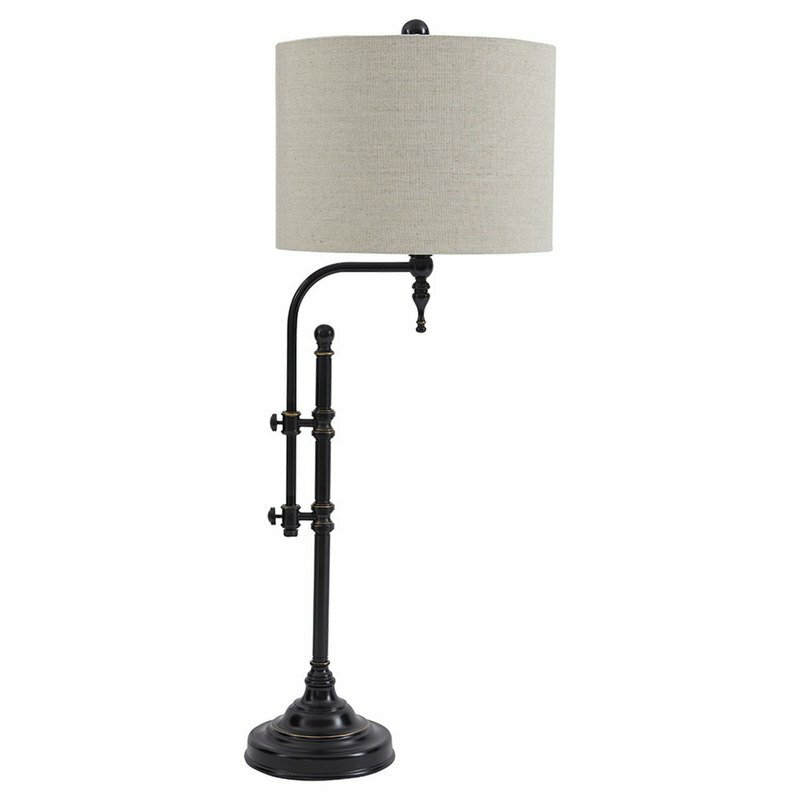 Black Finished Metal Table Lamp. Drum Shade. Adjustable Arm. On/Off Switch. Type A Bulb - 60 Watts Max or 13 Watts Max CFL. Please contact our NEX Customer Care Center 24 hours a day 7 days a week at 877.810.9030 with any questions regarding your order or if you wish to Return an item. Or reach us via email mynavyexchange@nexweb.org. Orders ship in 2 business days, Mon-Fri.